Multi-taskers rejoice! 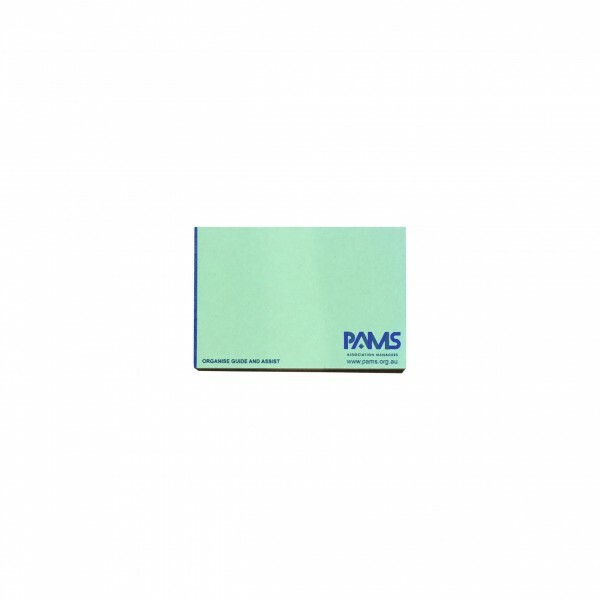 These 100 mm x 75 mm sticky note pads on colour paper are the answer to your prayers. Bright and eye-catching, the paper of the notepads come your choice of 17 different paper colour options. Use these various colours to colour-code your tasks lists or divide up projects. The sticky notes can also be adhered (and easily removed when needed) to file folders to distinguish each project, and keep you on track and organized. Professional organizers can use the colour combinations to label boxes and bins-writing down the boxes' contents on the sticky note. The organization of pantry closets, linen closets, playrooms, and more can be easily tackled with the help of sticky notes. They make a practical and cost-effective organization aid. 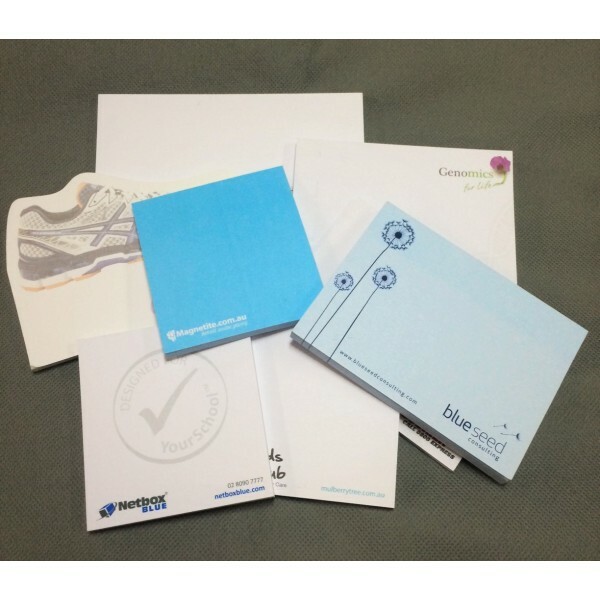 Plus they can be used as a marketing tool--company logos (or any other image) can be printed in one-colour. The sticky note pad contains 40 sheets of your choice of paper colour with each individual page adorned with the branding of your choosing. It is recommended that the imprint area be no larger than 50% of the page size so that there is maximum writing space for the end-user. It also contains a backing paper as the last page and an adhesive strip that can be positioned on any one side of the sticky note pad. Price includes the cost of the one-colour print image or wording, but does not include GST. Printing is done in Australia and product(s) can only be delivered to customers within Australia.